An exceptionally beautiful scramble through rarely traveled terrain. Mowich Road with few potholes and no washboard. 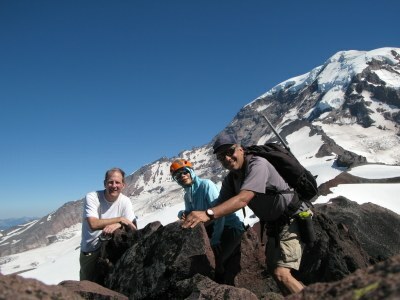 We had a successful exploratory loop trip, including a worthy summit of a named peak not on the Rainier 100! Crossed Spray Creek without difficulty, traversed 200' to talus slope. Easiest to drop below it then ascend on south (climber's right) side, moving up and right into woods as needed, finding game trails to reach flatter terrain at 5600', crossing lovely flowering meadows. Headed SE, climbed T4 hard snow (photo above), then transitioned carefully to rock NW of Point 6782. Followed T3 rock ridge to Tillicum Point. 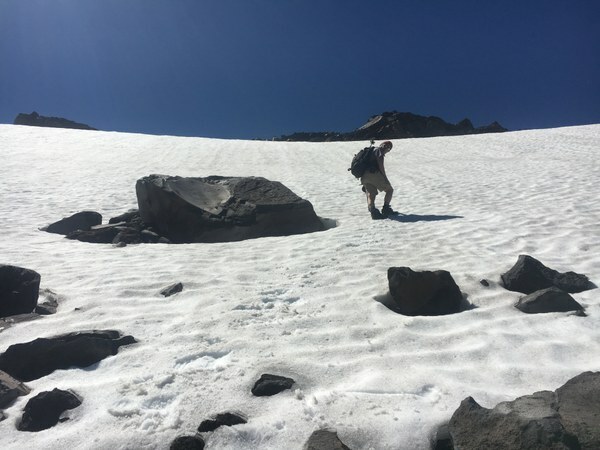 After descending to saddle to SE, traversed loose rock and snow to small saddle at 7240'. Best to drop 100' then do rising traverse on easiest course to reach easy snow-free walking at 7800'. Turned east, eventually joining up with standard route near summit. Descended standard route via Spray Park trail. Flowers near peak and abundant. Used helmets, ice axes, microspikes. Crampons likely useful later in season. 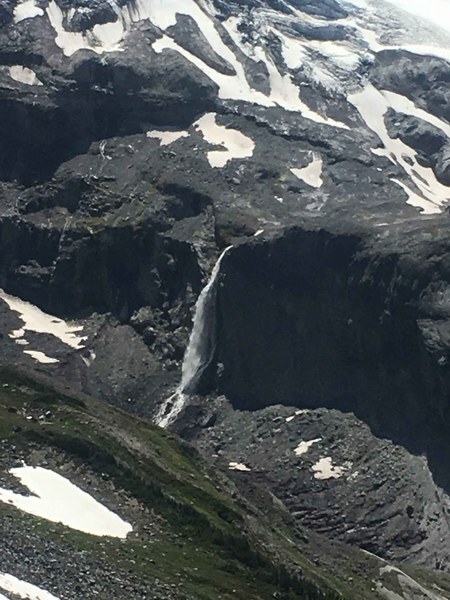 Saw 2 goats with young kids, marmot, and deer. Expect this to take a bit longer that standard route, but you get views into the rarely seen upper North Mowich River valley. An aggressive party could include Echo Rock as well.